Our HBO NOW 12 Month Gift Card provides you with full access to the HBO NOW website and includes a massive discount of over 74% off the standard price. We can offer these huge discounts because we purchase these gift cards in bulk and negotiate an exclusive discount for our customers. HBO NOW charges $14.99 per month ($179.88 per year), but we can offer it to you for just $45 for a whole year! That’s just $3.75 per month! Place your order and we will send you an email containing your new login details for HBO NOW. Watch from your Smart TV, Phone, Tablet or Games Console and receive unlimited access to the HBO NOW streaming library. Access every episode of every series, plus new blockbuster movies every week. If you are watching from outside the USA, you will need a VPN to access HBO NOW. If you do not have a VPN, you can order our Nord VPN 12 Month Gift Card and save even more! 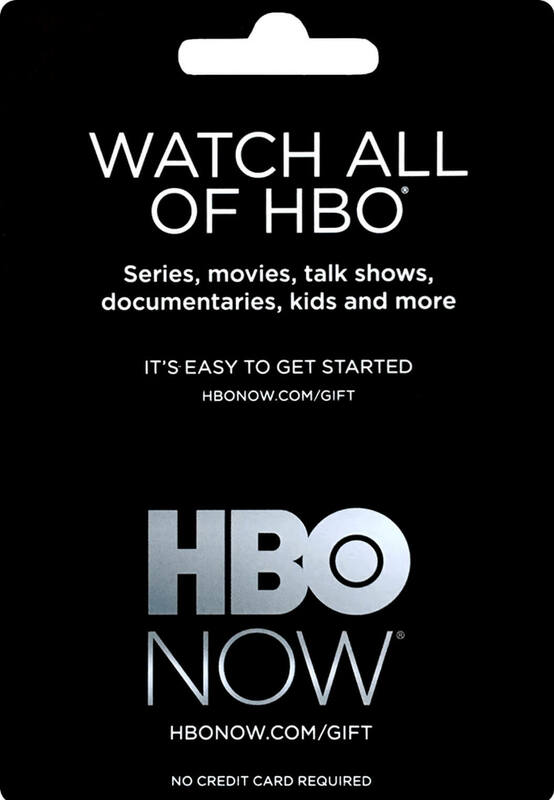 Order your HBO NOW 12 Month Gift Card Today for just $45! HBO is home to the shows that everyone is talking about – from groundbreaking series, documentaries and sports to the biggest blockbuster movies available anywhere. For over forty years, people who love entertainment have recognized HBO as the original – the first and best place to find the world’s most innovative programming. We believe that amazing things happen when gifted storytellers are allowed to pursue their own vision in their own way. That’s why so many of television’s most creative minds make HBO their home. And now, it’s easier than ever to watch HBO programs, when you want, where you want. On traditional pay television, HBO operates seven 24-hour networks, including HBO Family, HBO Comedy and HBO Latino, which offers hit movies, boxing and a diverse array of series in Spanish. Pay TV subscribers can also watch over 150 hours of the best of HBO’s programming anytime, with HBO on Demand through their set-top boxes.